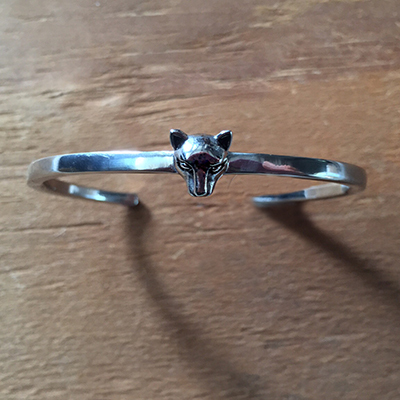 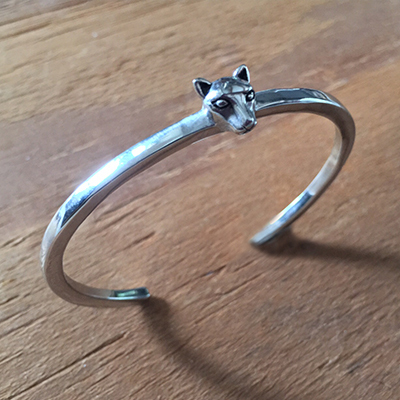 The Bast Bangle Cuff is a modern edited design with a single Bast cat head in the center. 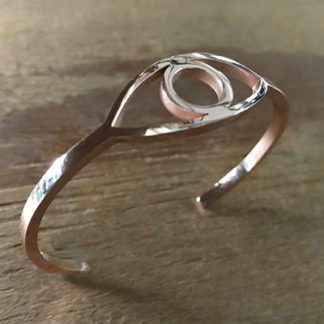 The cuff bangle can be lightly squeezed to be worn as a cuff or loose as a bangle. 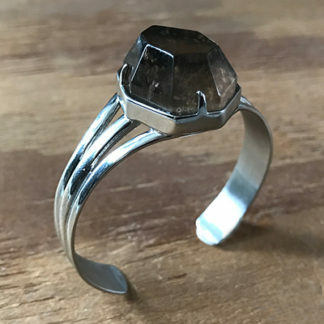 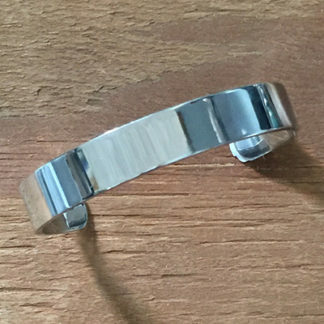 The cuff is 3.5mm in thickness and can fit a wide range of wrist sizes. 5.5 inches to 7.5 inch wrist. 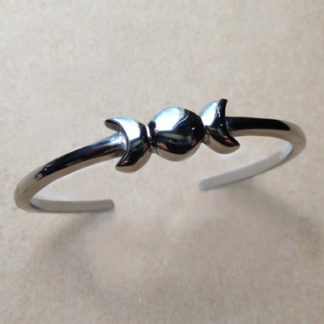 Stainless steel, classic, and affordable.